So you wanna be an author, huh? 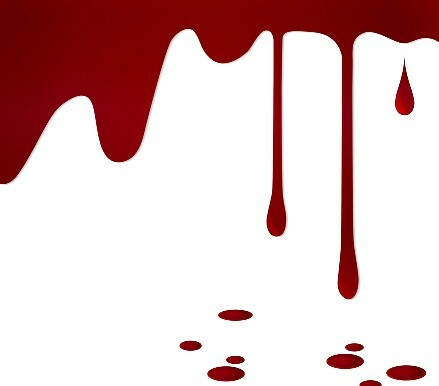 After a decade with Blood Bound Books and working with horror greats like Jack Ketchum, Bentley Little, and even Lloyd Kaufman (creator of Troma), I feel confident sharing a few publishing insights and advice from behind the scenes. Let’s see: Learn to accept rejection. Have patience. Write something every day. Research the publisher before submitting. Every interaction is marketing yourself in some way. Blah, blah, blah… Every guru has a top ten list of what writers MUST do, or what they should NEVER do, right? A quick Google search will give you page after page of advice lists. So when The Horror Zine asked me to provide some insight, I decided to offer a question instead. I urge everyone to take some time to contemplate their answer, and it doesn’t matter if you’re writing a short story or a novel. Before we get to the question, I’d like to cement something in your head: You are living in the greatest time period to be a writer—ever! Anyone who tells you differently is ignorant to the history of publishing. I won’t bore you with an essay, but before printing presses, scribes would dedicate their entire lives to copying manuscripts. And they were mostly holy texts. The average person didn’t just pick up a quill and copy their short story fifteen times for neighbors to enjoy. Even after Gutenberg's press, the majority of people were illiterate and those that could read did not necessarily have the time or money to do so. It’s not like today where people find themselves bored or with copious amounts of leisure time in which to read for no other goal than entertainment. Humans used to toil from dawn to dusk, farming, building, prepping just to survive the harsh conditions of life. They could not dedicate their time to writing if it wasn’t an endeavor that put food on the table. In more recent times, it can easily be argued that there has been a damn-near monopoly by the big six publishers (Macmillan, Hachette, HarperCollins, Penguin Books, Random House, Simon & Schuster), and they could basically pick and choose what authors and content they want to prop up and distribute to the masses. But you live in 2019, as long as you have a computer, internet access, and the will to succeed, you can be the author you’ve always dreamed of. Do not lose sight of this or allow others to tell you it’s impossible now adays. That being said, there is a certain duality in life that you must accept. With the newfound ability for anyone and everyone to be an author or small press, there are going to be some ills that come along with the good. But I’m not here to focus on those. I said I had a question for you. When I’m not working Blood Bound Books, I teach high school English. On the front wall of my classroom is a Latin phrase: TemetNosce. Know thyself. Two very important words, that I’m not sure many people truly understand. If you want to be an author, you must know your author-self. This question should not to be taken lightly as the answer will shape your career. What kind of author do I want to be? a) Big six author? Small press? Self-published? b) Full-time author to pay the bills? Hobbyist? c) Little to no control over the final product? Some control? Total control? d) How much do you want your readers to know about the real you? I didn’t want to hand The Horror Zine an essay. If there is interest, I’d love to continue a monthly piece where we break down each question in short articles and I can share my experiences. Because you really need to contemplate all the pros and cons of each and who you want to be as an author—it’s basically your author vision and mission statements. Your answers may change over time, but that’s okay. It’s actually expected. When your answers change, adjust your plan accordingly. But if you jump into writing without knowing what kind of author you want to be, you may end up disappointing yourself. And if you take writing advice that works for mainstream authors you may fail at self-publishing. Or vice-versa. Self-published authors who hit the big time probably had a different action plan than Stephen King or Clive Barker. Authors with major contracts and advances are sometimes obligated to write what their publishers want to market rather than their dream novel. Many small presses have no clue what they’re doing, but they are a tight-knit community that will support you. I could go on and on. I challenge everyone who wants to be an author to sit down, if they haven’t already, and brainstorm some answers. If Jeani has me back, we can discuss the benefits of each and from there, tips and advice will make more sense and can be tailored for you, because there is no one size fits all when it comes to advice… Well, except for one piece of advice. I will leave you with one of the best ways to be successful and it doesn’t matter what type of author you want to be. Treat people with kindness and be honest in all your doings. Even when others wrong you, do not retaliate. Move on, learn the lesson, and don’t work with them in the future. Resist the urge to attack them publicly. Yes, your social media outburst will get you plenty of attention. You can make a great living off tearing down other authors and making excuses for their success or for your lack of accomplishment. Social media ‘friends’ love to commiserate with your anger toward whoever you can negatively label. But in the larger scheme, you have what…5K friends on Facebook? That’s a small pond, my friend. Treat people on the level and you’ll go far in the world of publishing and in life. 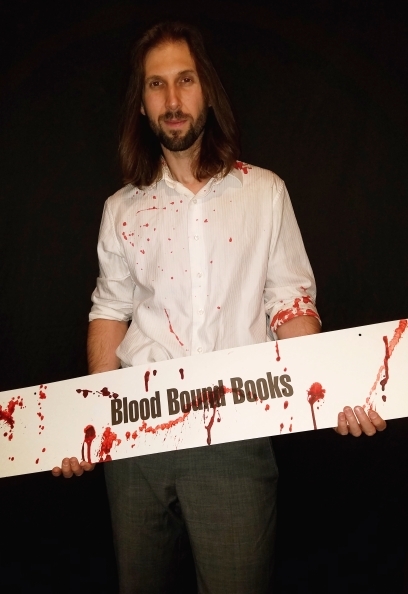 Marc Ciccarone is the co-owner of Blood Bound Books. When he’s not helping authors unleash some of the best dark fiction, he’s in the classroom preparing students for life outside of high school.